Samantha and Tabitha. 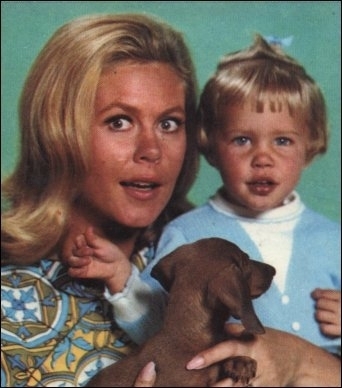 1965 hechizada publicity shot of Samantha (Elizabeth Montgomery) and baby Tabitha Stephens (Erin Murphy).. Wallpaper and background images in the hechizada club tagged: bewitched elizabeth montgomery erin murphy 1960s tv series photo. Erin looked more like Elizabeth than Elizabeth's own daughter, Rebecca. Wow it's awesome how much they look alike. I thought it was cute what Erin called Liz, (Mantha Mamma).